When you’re pushing your off-grid power system to the limits, it’s going to generate a lot of heat. And while your wiring is built to handle the normal capacity of the battery bank and inverter, what happens if there’s an overcurrent surge? That’s why a good inline inverter fuse is an essential part of your setup. This overcurrent tool, when used in conjunction with a breaker, protects both the batteries and the cables from overheating, whether due to normal use or a ground fault. Not only does this reduce the chance of internal equipment damage, but it curtails the risk of a heat-related fire. 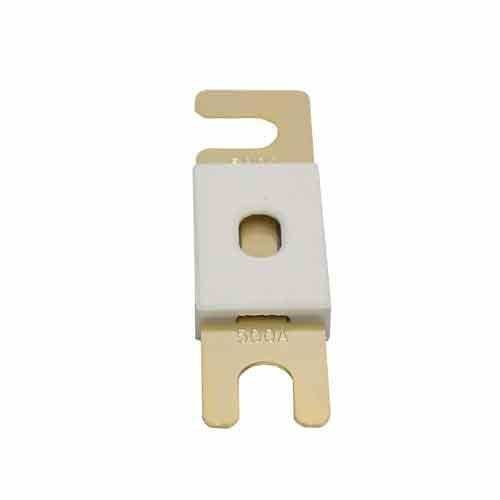 Order the right inverter cable fuses at a competitive price by shopping at The Inverter Store. 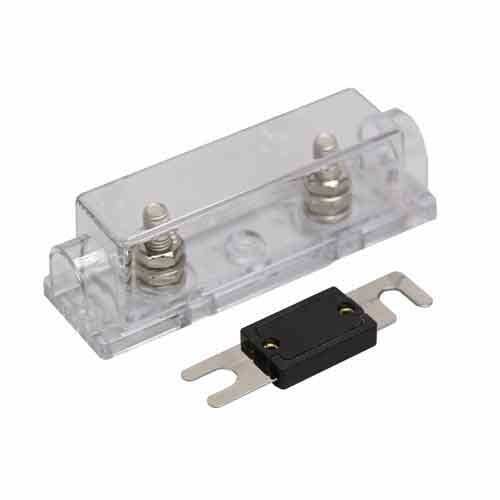 We carry ANL inline fuses in six different amperages to fit a diverse mix of setups. Options start at 80-amp fuses, which is recommended for most 12V/600-watt or 24V/1,000-watt inverters. They then go up all the way to 500-amp inline fuses that are designed for 12,000-watt power inverters. Choose the size that most closely matches the amperage output on your system to prevent overheating, improve efficiency and increase safety even if the system surges beyond capacity. 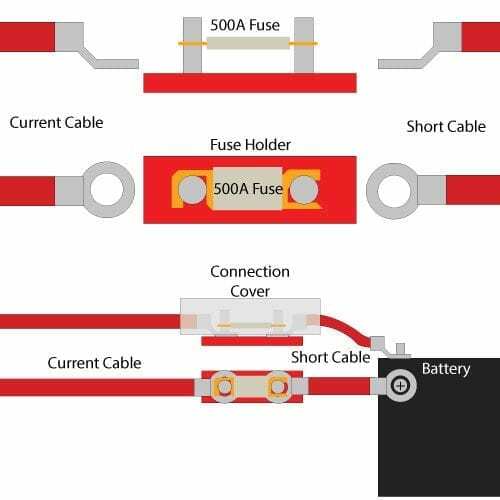 Contact our service team if you’re unsure which fuse size you should order. You can order fuses three different ways based on your current setup. Standard replacement inline fuses are for existing battery inverter systems where an existing fuse has blown out or been damaged. If you’re setting up a new system, but already have jumper cables, get an inline fuse and holder set. 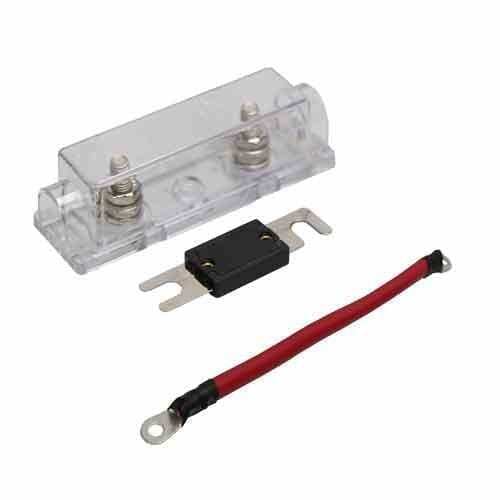 An inline fuse kit contains the fuse, holder and jumper cable for when you’re assembling high-current systems from scratch. Each of them is made from quality materials to provide excellent protection for batteries and cables. We’ve been helping people with their inverters since 2000 and have the supplies and knowledge to help you, too.